The World Cricket League Division 5 (see Well Pitched‘s guide to the WCL) reached its climax today as Afghanistan edged Jersey by 2 wickets in a low-scoring final. Hamid Hassan took 4-27 for Afghanistan as the hosts were bowled out for a mere 80. Jersey made it hard work for the Afghans to chase down this seemingly low total, though, with only 20 balls remaining when the game was decided. Both sides will now go on to compete in the WCL Division 4 tournament in September, along with Fiji, Hong Kong, Italy and Tanzania. Despite his obvious cricketing credentials (Cricinfo’s profile calls him “England’s best strike bowler since Bob Willis and Ian Botham”), much of what is written about Darren Gough is not about cricket. From his Strictly Come Dancing appearances to advertising Yorkshire, his obvious talents as a bowler (or indeed as a footballer) are seldom the things that first come to mind upon mention of Dazzler. For my money, though, his hat-trick against Australia at the SCG, or his ability to bowl world-class yorkers, are far more worthy of note than his failure to beat Austin Healey at arm-wrestling. Australia, following their wobble in the first Test against the West Indies, have made an ominous start to the second Test, with Katich and Ponting already having passed 50 at the time of writing. Jrod, over at Cricket with Balls, is keeping a close eye on proceedings for those who like their reports with a little more sauce than Cricinfo’s ball-by-ball. What Jrod is unlikely to report on is a win for the Windies – this Australian side (for all its faults) doesn’t do second chances. Unless your name is Michael Clarke. Rajasthan Royals annihilated Delhi in the first IPL semi-final, meaning that Warne and friends will take on either Chennai Super Kings or Kings XI Punjab in Sunday’s final. Shane Watson was the outstanding performer, making 52 runs and then taking 3-10 from 3 overs. Dehli Daredevils: Having Glenn McGrath in the side has obviously helped, but the Daredevils still had to wait on other results to make the final four after losing to Punjab. Dehli probably won’t be many people’s tip to win the whole thing. 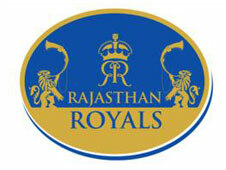 Rajasthan Royals: My team (sort of). The Royals have benefited greatly from the experience of Shane Warne and the renewed confidence of Shane Watson. I still fancy them to win the competition. Chennai Super Kings: After a strong start, the Super Kings suffered when all their Australians left part-way through the season to tour the West Indies. With Stephen Fleming also unavailable for the rest of the season, Chennai will struggle to replicate the explosive form of April, but they still have enough quality (especially in their bowling, with Ntini, Muralitharan and Balaji) to win. Kings XI Punjab: Punjab should be strong on confidence after beating Rajasthan by 41 runs on Wednesday, and Luke Pomersbach is tailor-made for twenty20. With the likes of Pomersbach and Kumar Sangakkara (who’s made five 50s in 18 innings of twenty20), as well as plenty of young Indian talent, the Kings XI are serious contenders. The ECB will tomorrow discuss radical changes to the structure of domestic cricket in England and Wales. Is this a necessary move to keep pace with the changing times, or cricket gone crazy? The prevailing opinion amongst many seems to be the latter, but some of the proposals deserve consideration individually. A return to a three-day County Championship, in my opinion (and that of some counties’ Chief Executives), would be a backward step. Three day games would provide little or no parallel with Test cricket, whereas the four-day game, for all its faults, can occasionally produce games of close to Test standard. A revamping of the much-maligned Pro40 format, which of course has no parallel in the International game, is one of the more interesting proposals. It is suggested that the format be split into a game of two 20-over innings, which seems to be gimmicky and a little muddled. Also, apparently the counties “love” the current format, which will mean more resistance from Chief Executives. Ultimately, the reasoning behind all this is making space for a much larger twenty20 competition, featuring 21 teams – an English Premier League, if you like. This is obviously seen as a money-spinner in light of the apparent success of the IPL format. Whatever is decided, it will certainly be interesting. English players in the IPL next year? The ECB has announced the itinerary for England’s 2009 tour of the West Indies. The tour finishes five weeks earlier than usual, which has led some to speculate that a window is being left open for some English players to play in the IPL next season. This is obviously not confirmed yet, but England may feel there is a case for letting some of the team get some practice in ahead of the World 20/20 in May.